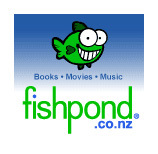 Jim rang me on Sunday and said one of the fish he had hooked earlier in the day at the Wairau Bar was apparently a salmon. There were people on the bank above him that mentioned it to him. The fish got away. We made a plan to have a fish the next day. I dreamt about fishing that night – we were fishing at the Bar, and I hooked a fish which I thought was a salmon at the time, but when it jumped, it turned out to be a marlin. I woke up soon after. 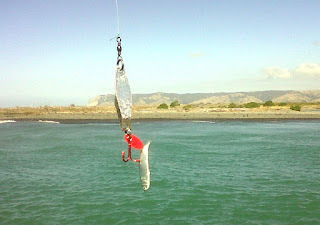 The fishing was fairly slow on Monday, but I managed to take a kahawai home, while Jim landed two kahawai. No salmon, but I kept thinking we might have one hooked whenever there was a fish on the end of our lines. There had been a trawler operating in Cloudy Bay, and that probably had something to do with the lack of action. I have heard of salmon being landed in the Wairau Diversion and the Wairau Bar lately, but I’m yet to see one myself this year. 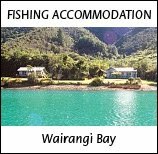 Tony Orman reports in the April NZ Fishing News magazine that there have been quite a few caught in various parts of the Wairau River. 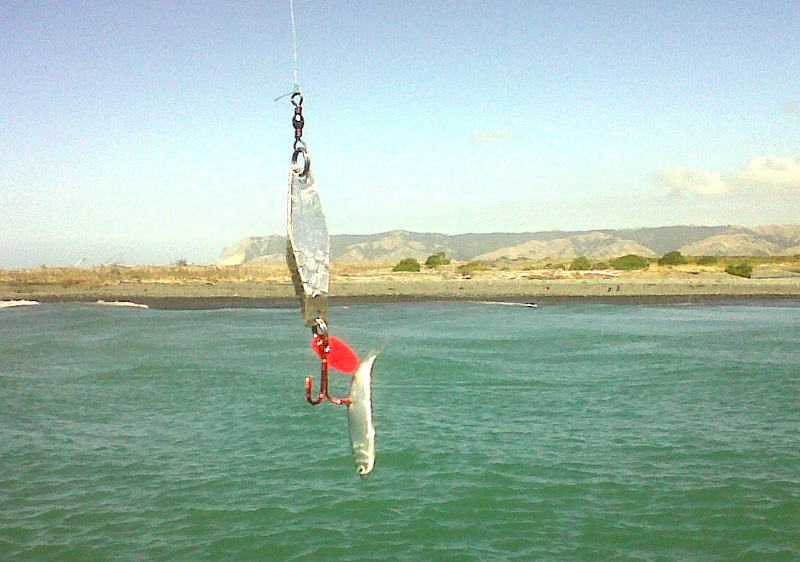 Jim and I fished at the Bar again on Thursday and took a kahawai home each. Many of the strikes didn’t hook the fish as easily as they seemed to in the past. I changed to a smaller lure like I normally use before I landed my fish. 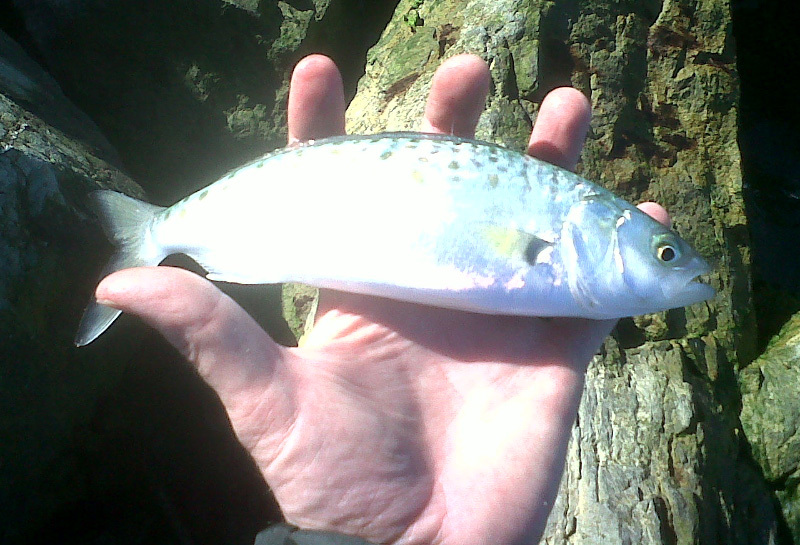 I had been using a slightly heavier lure to help cast into the wind. Jim told me he caught a couple of kahawai on Friday, and then four on Saturday. I think the trawler has vacated the bay, which must always be better for the recreational fisher. Took home fairly nice kahawai on Monday. They seemed hard to catch, though - quite a few strikes, but they got off more times than they stayed hooked. The Friday before was better, with a couple of nice fat kahawai. Also a small one that I returned, and a little guy that got foul-hooked by Jim using a lure bigger than the fish. Monday was the first time I’d tried using a dead cicada for bait for trout. I used two small hooks – one on the end of the line, and one running free between the end hook and a swivel, which was tied about 25 cm. above the end hook. I had considered using a similar method to how Geoff Wilson illustrates attaching a grasshopper in his excellent book, the Complete Book Of Fishing Knots & Rigs, but I realised this was probably more suited to live baits because of the subtle way of hooking the insect. My cicadas had all been collected dead-already, so the main priority was hooking fish, and not keeping the bait alive. I pushed the end hook up from under the insect, out through one of the big exo-skeleton areas on top of the mid-section. This seemed the best area to use due to its size and strength. I then wrapped some of the line around the body, and pushed the second hook up in a similar fashion, aiming for the opposite side. My first attempts also included using a bubble attached with some nylon on its own free-running swivel above the afore-mentioned swivel, to get the setup out to the three fish that I could see about eight metres from where I was standing on the river’s edge. I’ve never really liked using a bubble, as it feels too much like throwing a rock into the water. Possibly due to my lack of experience with it, or the fact that it was too much like throwing a rock in the water, the fish were curious, but didn’t bother investigating too closely. I removed this bubble setup, but left the rest of the setup as-is, ie. the swivel, the free-running hook and end-hook through the cicada. The cicada/hook/swivel setup was surprisingly easy to cast – I had thought there wouldn’t be enough weight after removing the bubble. One of the trout came over to have a look, but seemed to turn around and leave. I went to pull the line in to try something else, and assumed it had got itself tangled in the nylon, as there was some resistance – it had actually taken the cicada! I tried to set the hook, but it didn’t work. I pulled in my still-intact setup, minus the cicada. I then attached another cicada the same way, and cast it out. 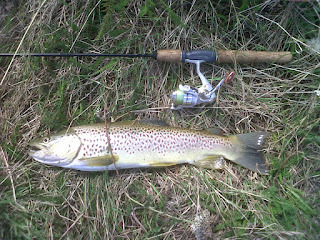 The same trout came over, sucked in the cicada, and still managed to continue on his way. For the third cicada, I made a point of having both of the hooks sticking out more – almost all of the hook was sticking out of the cicada’s body. I cast, the trout came over and sucked the cicada in and turned, I waited until he was heading off in the opposite direction to me, then lifted my rod. He was hooked! 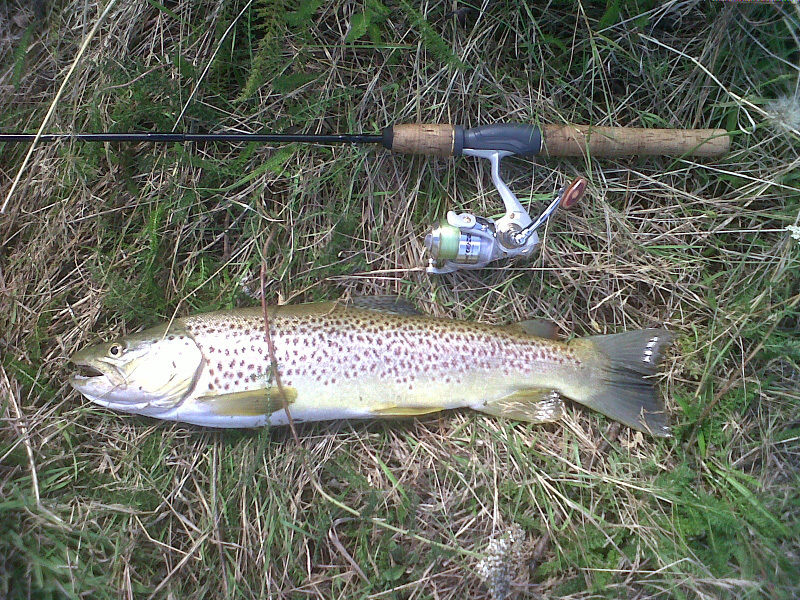 I kept my rod high and picked up my net and walked down to the water’s edge – within a couple of minutes he was landed. If your regulations allow (and many places do allow it), I think it’s pretty hard to beat real bait over imitations. The purists might frown upon it, but I’m quite excited about getting out again to try using some fresh cicadas I found dead today, before I stop hearing them outside my window and realise my own window of opportunity may have closed until the end of next summer. If you want to collect your own dead cicadas, I recommend a road that has forest running down both sides of it – I guess the cicadas from the trees get hit or stunned by the vehicles coming though, and end up dead on or beside the road. My own road nearby that fits that description has yielded better cicada-bait than the walking tracks running through the forest itself.